I haven’t read too many police thrillers (is that what this book is?) 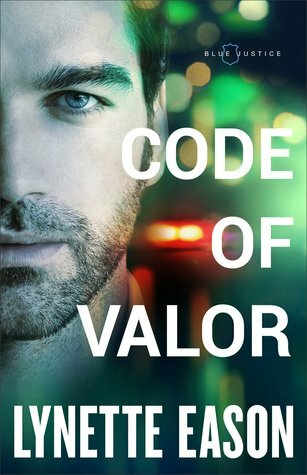 but Code of Valor was a fast-paced, entertaining read. Maybe I’m getting soft, but there were actually a couple scenes that made my heart pound with worry/fear. Which was exciting. I hardly ever read books that have that effect on me (The Maze Runner is the only other one I can think of), so yeah. Even though this book is the third in the Blue Justice series (and I haven’t read the other books), I easily read it as a standalone. The writing was good, the characters well-written (if not stellar), and the plot was a wee bit confusing (though that might have been because I was reading the end so fast). Recommended for fans of clean thrillers. So, a couple days ago I asked you guys for feedback regarding these ‘forced’ reviews and, yeah, you gave me plenty. Seven responses in all, and they said basically the same thing: ‘I skip these reviews’. Ouch. But completely justified because I don’t care much about these reviews (because I don’t care about the books), so why should you? I have two more reviews coming – A Bound Heart and We Hope for Better Things (both of which look really good, tbh) – and then I’m implementing my new policy. Which is that I won’t request books at random. I’ll only request books to review if I a) know and like the author or b) have a really, really good feeling about a book. So no more random books. There are a couple of programs that only require reviews on Goodreads and Amazon, so I’ll still request randoms from them, but not for this blog. This blog has been going for over three years and I owe it to myself and to you to not let it degenerate. Thanks so much for all your feedback! It was much appreciated (even if it did sting a little at first).